Calling all drivers – your new career awaits! We are recruiting! 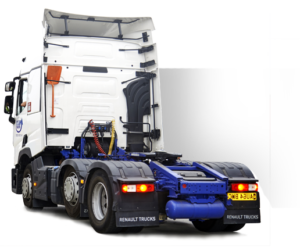 Our freight volumes are soaring and we need to expand our team of Class 1 and Class 2 drivers. We’re looking for professional, dedicated and flexible candidates, so chat to us and become part of the team. We listen to our customers. We do things differently. We give more than you would expect. The result? Happy businesses. Loyal customers. Consignments delivered ‘On Time and In Full’, 99% of the time. We are your one stop shop for logistics and warehousing. Got a single job or need us to package up a range of services? Please fill in the enquiry form and we’ll respond within 1 hour. 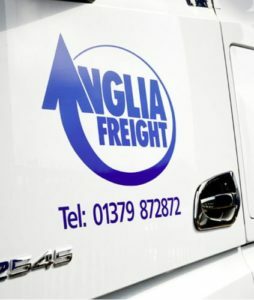 Anglia Freight has the resources to handle small consignments, part loads, full loads as well as hazardous freight, providing a fast and economical service which we control at every stage. With goods arriving on time and in full, we deliver throughout the UK, Europe and around the globe. From kettles to paving stones and farm machinery, by road, sea and air, our team is dedicated to delivering your goods quickly and securely. 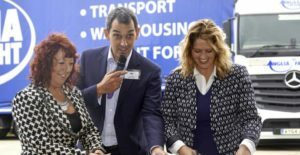 Anglia Freight’s 30,000 sq. ft. storage facility provides a full range of ambient temperature warehousing and 3PL services. We have the facilities, infrastructure and IT capability to integrate our warehousing and distribution, meaning whether we’re dealing with organic produce or ‘best before’ dates, we provide our customers with full product traceability 24 hours a day, 7 days a week. Your consignment will be delivered where it needs to be and exactly on time with Anglia Freight’s established global delivery service. Our specialist teams oversee daily freight departures to Europe and the rest of the world. From Customs clearance to real-time track and trace, we’ll keep you updated as to where your consignment is at any point on its journey. Any problem, any question, please speak to our customer services team. We’re here to help from 8am-6pm weekdays and 8am-noon on Saturdays. Communication is at the heart of everything we do. We understand what is important to you and what you need from a logistics provider. Sometimes things don’t go to plan and this is where our skills, knowledge and expertise really stand out. Left waiting for an update? We don’t ignore problems. If something does go wrong, you won’t be the last to hear – you’ll be the first. We operate openly and honestly, so there are no surprises. Our customers know we’ll manage the situation and find a solution. Had a failed delivery? You won’t get a call from us saying that we don’t know where it is. Our real time track and trace means we can pinpoint the exact location of your freight every second of the day. Unrealistic expectations? We don’t make promises we know we can’t keep. Everything we say and do is based on our 20 years logistics experience and fact. We know what works, what doesn’t and will advise you on the best solution for your consignment. Sign up for our newsletter for news and exclusive offers.